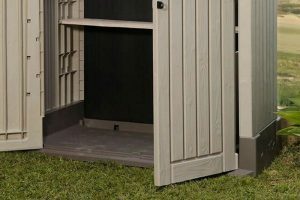 / What to look for in portable generator shed? Housing your portable generator in a shed not only protects your generator but it also helps it operate optimally. Since it is never recommended to run the unit indoor, such as in a garage or storage room, the generator should be installed outdoor. What better way to protect it than to create a shed, which specifically caters to its needs and the family living around it? Why do you need a generator shed? 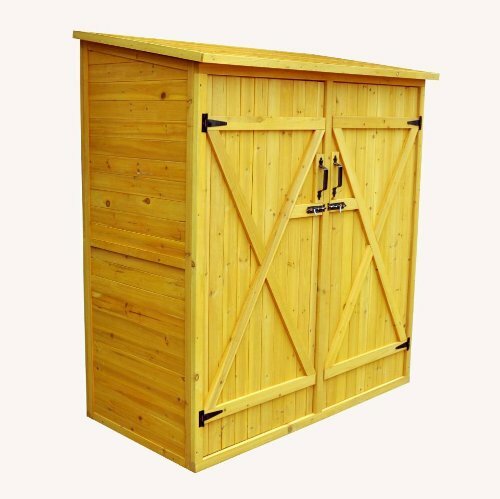 What are the requirements of a generator shed? 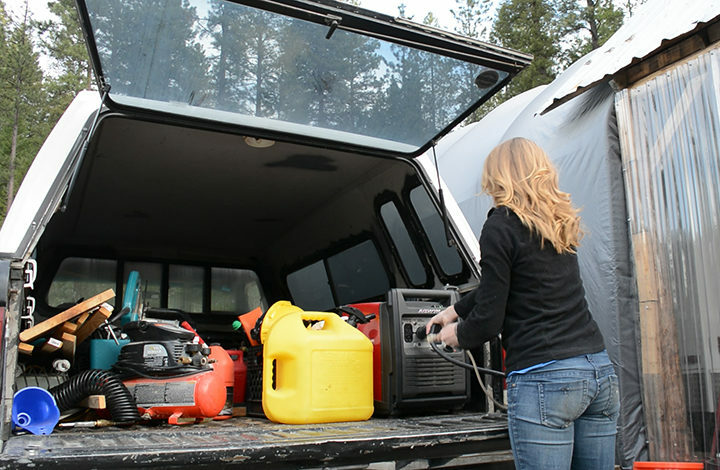 Because of the mobility of a portable generator, it is taken to different places for recreation or emergency purposes. A shed that should house this type of generator should be equally mobile to fully complement the unit. 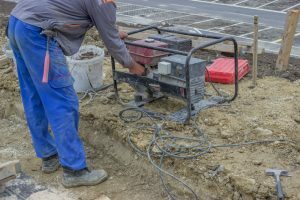 ​Though portable, users should also remember that it is much more efficient to install the generator outdoor so when need arises, there will be less hassle from taking it out from storage and mounting it to a secure location, before powering it up. An installed and ready to use generator may bring the power back to your home after minutes of blackout. Can you imagine going out in the middle of a thunderstorm just to set the generator up? An installed generator also helps families during emergency situations wherein the person knowledgeable in setting it up is not present. 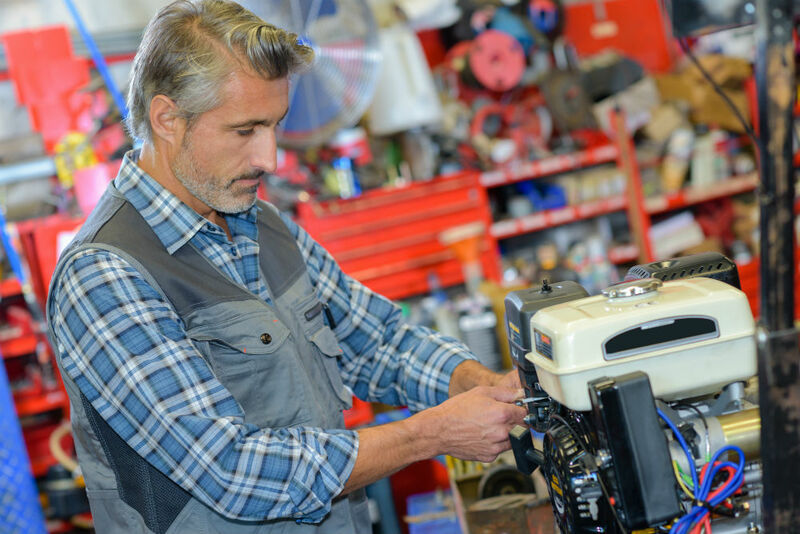 The shed, when properly built and maintained, will protect your installed portable generator for years. 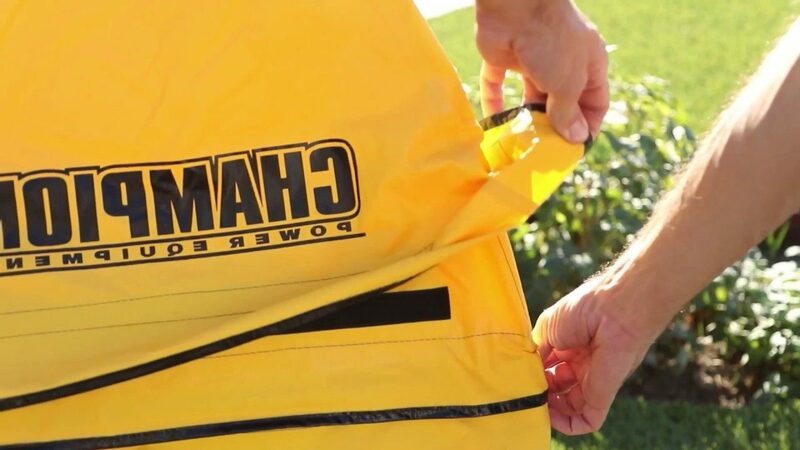 It will shelter it against adverse weather conditions such as rain, snow, wind, and heat. 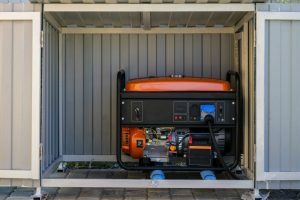 Its capacity to secure your generator does not end there as it also shields your generator from insects, animals, and rodents that may come near it. 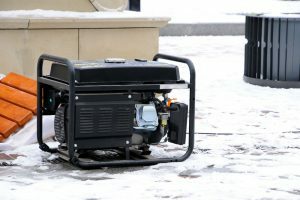 An animal that might tinker with a working generator might spark fire and cause damage not only to the generator itself but to the pet and nearby assets as well. Rodents may chew on the wires or get stuck in the small crevices of the generator. 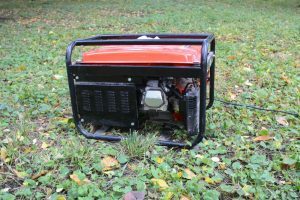 An owner who failed to check his generator with defective wires may get serious injuries after he attempts to start it up. 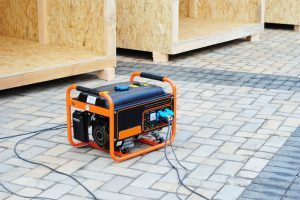 Your portable generator shed may also protect you against deadly carbon monoxide gas. 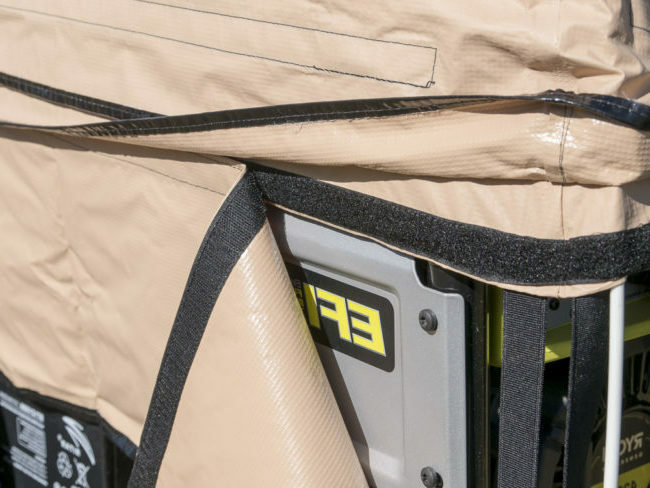 Equipped with an exhaust fan, the shed will drive fumes out of the containment and into the open to dissipate. So long as the fan is not facing any open doors, windows, and vents leading to your household, then you are safe from this silent killer. This shed is attractive because of it ergonomic wooden design. The double doors in front opens wide, as well as the top lid. 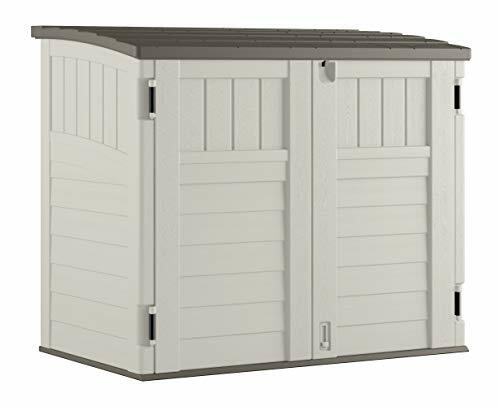 Intended for storing garbage bins, you may turn this storage shed into the new home of your portable generator. This shed, which is made of wood, is weather-resistant. Made from cypress tree wood, the walls and doors are stained and finished with a protective coating. Sheds made from wood are good for conducting heat compared to sheds made of plastic. 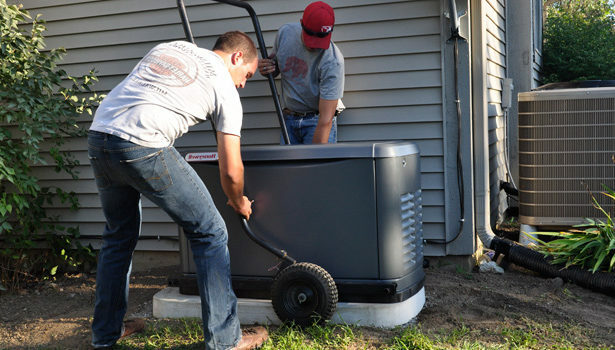 However, this may only be advisable if your portable generator is installed in one place for longer periods of time. More often than not, generator sheds are created from scratch, with plans sold online. However, sheds, which are built, are not really portable as it is very heavy. However, if you are looking for a really lightweight shed that can house a mobile portable generator, what you may need is a shed made from plastic. 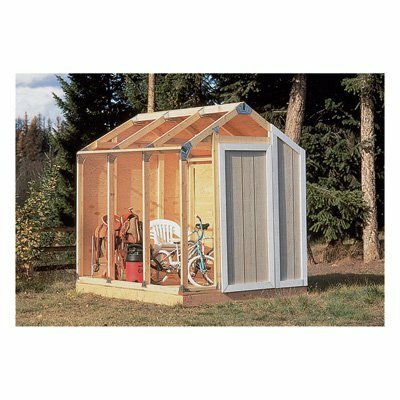 This type of shed is made from durable and weatherproof resin. Designed the same way as the wooden sheds previously discussed, this shed is lighter and is more likely used for mobility. Portable sheds such as the examples above require modification. You can’t use it straight out of the box; after assembly, you need to punch holes to the shed to fit in an exhaust fan that will blow fumes out of the shed and vents to keep the cool air flowing. If the weather is fine, you may just lift the top lid so cool air will breeze in. Ambient air will significantly help in cooling the generator, which greatly heats up during operation, and stays heated for quite some time after. You also need to secure the generator on the floor of the shed otherwise the vibration may cause it to move toward the edge of the wall. Don’t let the generator touch the plastic walls at will surely cause the plastic to melt. Likewise, the floor of the shed should have equal protection. Do add wooden panels where you can secure the generator in place. As addition, you may beef up your shed to include soundproof boards to lessen the noise, if not eradicate it completely. The doors of garden sheds also come with a provision for padlocks. Use this to lock the generator securely. It also helps you, the user, in powering up your home in mere minutes instead of burdening you of installation every time you will need it. The benefits of a portable generator shed prove that it is truly worth the investment.